MCO’s Beyond Baroque can be heard in Melbourne on Sunday 30 April at Melbourne Recital Centre & Thursday 04 May at The Deakin Edge, Federation Square. 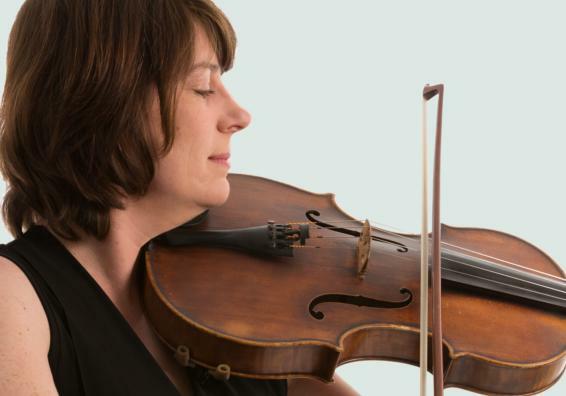 Helen Ireland will be joining the orchestra in the viola section for Beyond Baroque. Her career has spanned Australia but she is now settled in Melbourne as a regular player in the Melbourne Symphony Orchestra and the Orchestra Victoria, as well a viola teacher at Melbourne University, a founding member of the Flinders Quartet and most of all, a mum. We caught up with her to speak about Beyond Baroque and her career as a professional musician. MCO: Your career seems to have taken you all over Australia! Tell us a bit about your travels and what led you to finally settle in Melbourne. Helen: I grew up in Adelaide and when I was in year twelve, my deskie in the Adelaide Youth Orchestra told me that she had a wonderful viola teacher in Canberra called Vincent Edwards and that I should come and meet him. I did, and instantly liked his teaching style. I ended up moving to Canberra to do my degree, which worked out fantastically, although I was quite homesick at first! From there I ended up working quite a bit with the Tasmanian Symphony Orchestra, doing some further study in Sydney with Esther Van Stralen and back in Adelaide with Keith Crellin. It was the Australian National Academy of Music that brought me to Melbourne and back into the path of Zoe Knighton! Zoe and I met as fellow casuals in the TSO and later reconnected as fellow lovers of quartet playing. From there the beginnings of the Flinders Quartet were hatched. Zoe was doing a Masters at Melbourne University and needed a chamber group as one component, so Bill Hennessy suggested that she just ask three friends that she enjoyed playing with. She asked Erica Kennedy, Matt Tomkins and myself, and the rest is history! We have done quite a bit of travelling, including a trip to Finland for the Korpo Sibelius Festival in 2015, which was a career highlight. MCO: What attracted you to the viola in the first place? Helen: I didn’t know that I was attracted to the viola until my first lesson. I followed a school friend to apply to play the violin at my primary school and it turned out that only one instrument was available at the time; a viola. We were both given some musical aptitude tests and I was given the chance to start learning. My mum had to convince them a bit, as they thought at eight years old I might be a little small. She went in to bat for me though, saying “she’s tall for her age!” It was in fact a 3/4 violin strung as a viola. The teacher however, Anne Rodda, was a violist and had a full size viola, and I remember instantly falling in love with the rich, mellow tones. MCO: As a founding member of the Flinders Quartet, you must have been involved in some pretty exciting projects with the ensemble. What does the group have planned for this year? Helen: Yes, I look forward to everything we do each year! This year we are featuring Schubert and we are playing three of his chamber music masterpieces, including the C major String Quintet with Timo-Veikko Valve, principal cellist with the ACO. We are also embarking on a really exciting recording project to record a selection of some of the really fantastic works that have been commissioned for the Flinders Quartet over the last sixteen years. I think we will need to make another CD in the future because we couldn’t record them all this time! We will also hold our second workshop for composers. This gives them a rare opportunity to have one of their pieces workshopped and performed by a professional quartet. Last year this was a huge success, so we’re hoping to make it an ongoing event. MCO: As a qualified practitioner in the Feldenkrais Method, could you explain what this involves and how it helps musicians in particular? Helen: Training in the Feldenkrais Method was one of the best things I’ve ever done. I learnt the viola throughout school through determination and passion, but with very little awareness of how I was using my body to do so. As a result, I was learning with a lot of unnecessary and unhelpful tension. During my degree, I was introduced to the Alexander technique and got a lot of benefit out of it. I worked for many years to come on and off with different practitioners and started to gain more body awareness, which helped with tension and finding a better tome and ease in playing. I discovered the Feldenkrais method through my gym when I was having some knee trouble, and after just one ATM (Awareness Through Movement) lesson I was pain free for several days. This really got my attention! The Feldenkrais method is a little difficult to explain in brief. Essentially, through practising carefully worked out sequences of movement in a state of heightened awareness, you can learn how to more efficiently perform all aspects of these movements. This can obviously have huge benefits for musicians who need to perform very highly sophisticated movements with utter ease in order to perform at the highest level. It can also be really helpful in identifying habits you have in playing that are causing injury. Many musicians, over a life time of playing, experience pain and injury. Often, adapting your body usage habits can help you heal and prevent injury. While I still regularly use it for my own playing and in any teaching that I do, I’m not currently practising in the Feldenkrais method. Writing this, I’m thinking that perhaps I should start again!